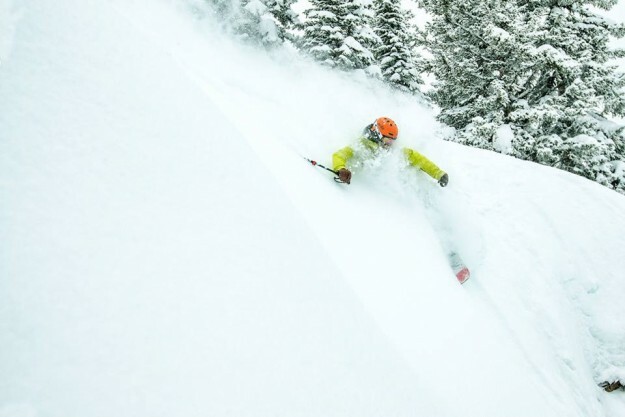 Huge powder at Vail on Tuesday (Vail Mountain Facebook photo). Vail has been pummeled with nearly 30 inches of new snow in the last week, with 17 falling in just the last two days. It was enough for a rare snow day for the Eagle County School District on Tuesday, so expect to see numerous young snow riders Tuesday and Vail, Beaver Creek. Beaver Creek has seen similar snowfall totals, with 16 inches in the last 48 hours, 29 in the last week and has now surpassed the 200-inch mark for the season with 202. Vail, Beaver Creek average around 350 inches a season. The House gave voice-vote approval today to Rep. Diane Mitsch Bush’s bill to reduce road closures and delays on the mountain corridor of Interstate 70. “This bill is about economic competitiveness and especially about public safety,” Rep. Mitsch Bush told the House. HB16-1039, also sponsored by Rep. Bob Rankin, R-Carbondale, is endorsed by a wide array of public safety agencies, business or tourism groups, and editorial pages throughout Colorado. It states that motorists must have adequate tires or chains or alternate traction devices on their vehicles from Oct. 1-May 15 between Dotsero and Morrison on I-70. Every year, the I-70 mountain corridor shuts down repeatedly because drivers with inadequate equipment spin out or simply lose traction on snow- or ice-covered lanes. Blocked traffic on I-70 is more than just an inconvenience – it’s a public safety issue that impedes ambulances and other emergency vehicles and puts other drivers at greater risk of an accident. And it’s a drag on the economy: the state suffers an estimated $800,000 economic loss for every hour that I-70 is closed, giving stuck-in-traffic visitors plenty of time to think about heading to some other state for their next ski vacation and victimizing adequately equipped Colorado drivers who are commuting to their jobs. “If they’re stuck in that traffic even for two hours, those two hours of lost wages mean all the world to them and their family, and they could well get fired,” Rep. Mitsch Bush told the House. After a recorded vote on Tuesday, the bill will go to the Senate.